I love a good makeup product which has quality and yet comes at an affordable price. With so many brands competing in the market its hard to find quality products but Hands down to 'Miss Claire' for emerging as a winner when it comes to being noticed among the sea of makeup brands. Ever since I used NYX lip cream in 'Amsterdam' I have been a HUGE fan of matte lip creams ! But as NYX had availability issues(at that time) it was disheartening to own just a single shade in such a great range but thankfully I heard about Miss Claire lip creams to be perfect dupes of NYX Lip creams and I started searching as to where I could buy them in India. My first lip cream was from an Instagram seller and I bought it in two shades Miss Claire 01, Miss Claire 08 and Miss Claire 10, both turned out to be absolutely gorgeous! And it was then I decided I would buy them in all shades as the price was damn affordable and they had a quite a few collection! I am even more excited as I saw many youtube bloggers review their new shades .. can't help myself from buying them! You can read the full guide as to where you can buy Miss Claire products here. 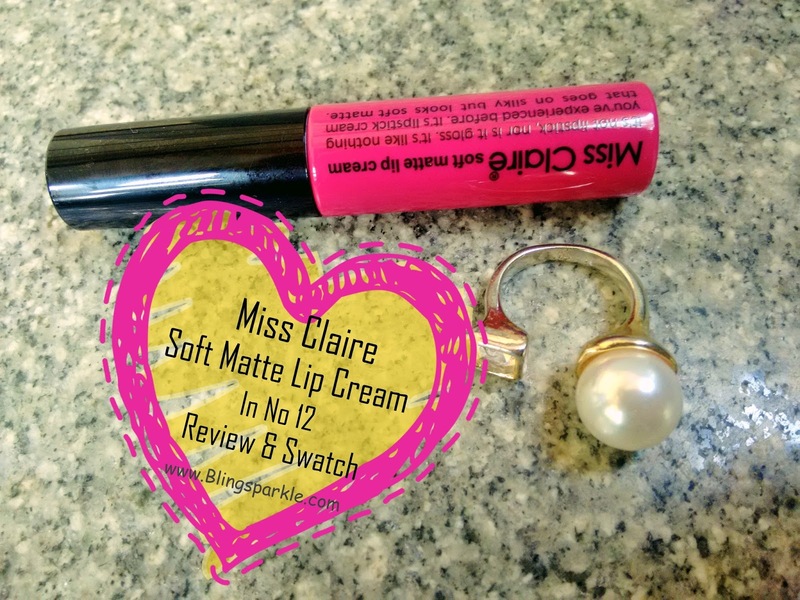 Now that the Miss Claire Lip creams are available online on Amazon.in at an affordable price I bought Miss Claire Lip cream in the shade No 12 to see if it was an original as I wasn't sure of the seller , thankfully it is an original and boy I sue love the color of the lip cream! The come in a very light weight plastic bottle which are similar to NYX lip cream packaging! These lip creams are easier to carry while travelling and the applicator is a perfect one for it allows us easy and even application! I am a fan of the doe-footed applicator which allows precise application.I don’t need a mirror to apply these , it scores a ten on ten when it comes to packaging! Creamy texture that glides smoothly on lips and settles into matte finish after a couple of minutes. Single swipe gives good pigmentation. Stays for 4 hours without fading with light non oily meals in between. No 12 is bright fuchsia pink. 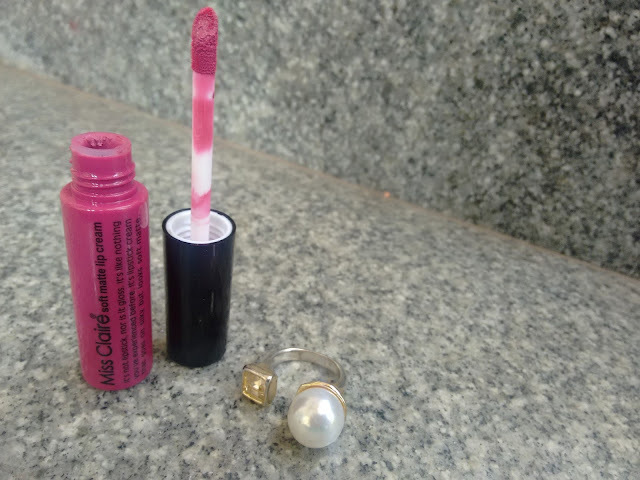 Perfect for those days where yo want sport a bold pink lip but you don't want something too in the face. All those who have a crush on pinks this is a must buy! I love this lip cream from Miss Claire. Actually I have thing for all things from Miss claire now. I ended buying their eye shadows, cream stick blush and lip liners. All of the products have an amazing quality and given the price you simply cannot resist to buy em. 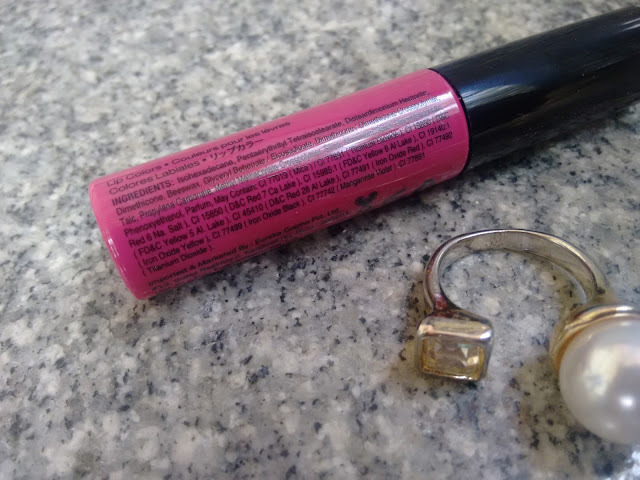 Coming to the lip cram , everything about the lip cream is WONDERFUL! You don't need to layer this shade , a single swipe and you are ready to slay ! The fact I love about these lip creams is that they are super matte and have a smooth texture plus its so EASY to apply them ! Not like you have to sit for minutes by lining your lips and then filling them it with a lip filler! Love love love the application. 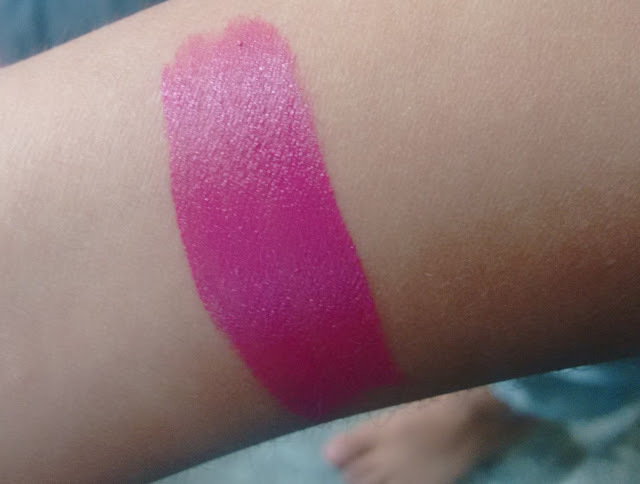 It is extremely soft on application and its so pigmented that you cannot correct it if you smudge it by mistake. The pros do not end here, it does not accentuate my fine lines plus it brightens up my face , gives a total makeover i could say! For the first few minutes it sits glossy on the lips but after that you have a complete matte lip which is bright fuchsia universal shade that will suita almost all dusky skin tones! What more could you ask for ! I simply cannot resist buying all of the shades in Miss Claire Lip creams ! Love the whole package which includes excellent packaging, affordable(VERY) pricing, beautiful shades and fantabulous texture ! This is a issue for its always OOS on flipkart and Amazon and other sellers on Ebay and Shopc;lues sell them at double the prices hence one can buy them from Instagram sellers via Neft . I bought it from @Instamakeupdeal for INR199 and @Glam__it_up for INR 159 ! 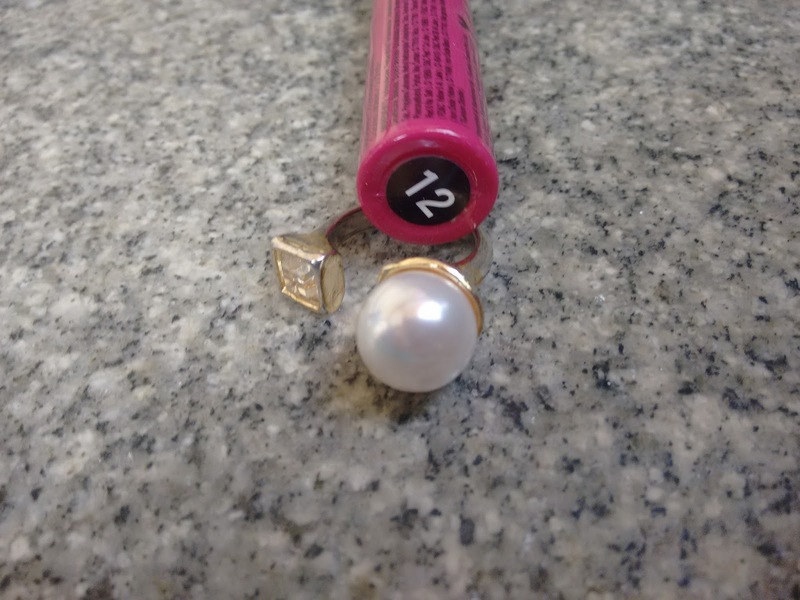 This shade no 12 is available on Amazon, you can buy it from here. If you are fan of lip creams this is a MUST BUY ! Go buy them like NOW ! Excellent staying power Lasts for about 5-6 hours easily! Single swipe gives good pigmentation. Hides pigmentation of lips in one single swipe! Has creamy texture that settles down with a nice matte finish. Availability an issue for not available online at the correct price! Exfoliate lips and buy them from a good seller instagram and stay away from sellers who sell fakes!